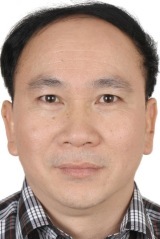 Dr. Hao Liang is a professor of epidemiology at Guangxi Medical University, Guangxi, China. He is currently the Dean of Guangxi Medical Research Center and the Director of Guangxi Key Laboratory of AIDS Prevention and Treatment. Dr. Liang is a epidemiologists and virologist with a research interest in epidemiological and preventive approaches for HIV prevention and how the body protects itself against HIV infections. His team is also using cellular and molecular approaches to understand virus-host interaction, basic antiviral mechanisms and strategies for enhancing the host immunity against viral infection. Dr. Liang has more than twenty years of experience in scientific research field of HIV. As PI or co-Investigator on a number of national and international including NIH-funded grants, Dr. Liang gained excellent research achievements. Since 2000, Dr. Liang has published more than 70 peer-reviewed papers in various national and international journals, including the American Journal of Pathology, Journal of Infectious Diseases, PlosOne, etc. His Research interest are epidemiological and preventive approaches for HIV prevention and how the body protects itself against HIV infections. His team is also using cellular and molecular approaches to understand virus-host interaction, basic antiviral mechanisms and strategies for enhancing the host immunity against viral infection.